How a Designer Mindset of “Yes, and….” Changes Everything! “I would like honeybees on campus.” Sam shares with her principal at Mt Abraham Union Middle/High School, a small school in central Vermont. Immediately images of bees, the school superintendent saying no, liability forms, and even chaos fill her head, but Gaynell the principal chose to silence all of the “yeah, buts” that were swirling around her head. She knew that Sam would only propose ideas that were good for students. “Tell me what I need to know to say yes,” replied Gaynell. That simple affirmative response coming from a designer mindset of “Yes, and…” is key to innovation in schools. The Design Thinking process is one way to get there. How easy would it have been for Gaynell to shut down Sam’s ideas? No one would fault her, having bees on campus is a new idea and unconventional to say the least. And yet by responding with a “Yes, and…” she invited Sam to share more. Sam, a biology teacher who was teaching a kitchen chemistry class, wanted to create authentic learning experiences. By incorporating bees into her curriculum, she saw an opportunity to teach students a skill that they could use later in life. She also saw opportunities to connect their learning to environmental causes. Bees are a dying resource. Teaching students about them would be good for the environment and good for the community. Sam did her research, she found a beekeeper, they walked the campus and found a suitable spot for honeybees. With all of the research and plans in place, Gaynell approached her Superintendent and shared their plans. Initially, the idea of honeybees wasn’t received well, but Gaynell pressed on taking full responsibility for any parent concerns. 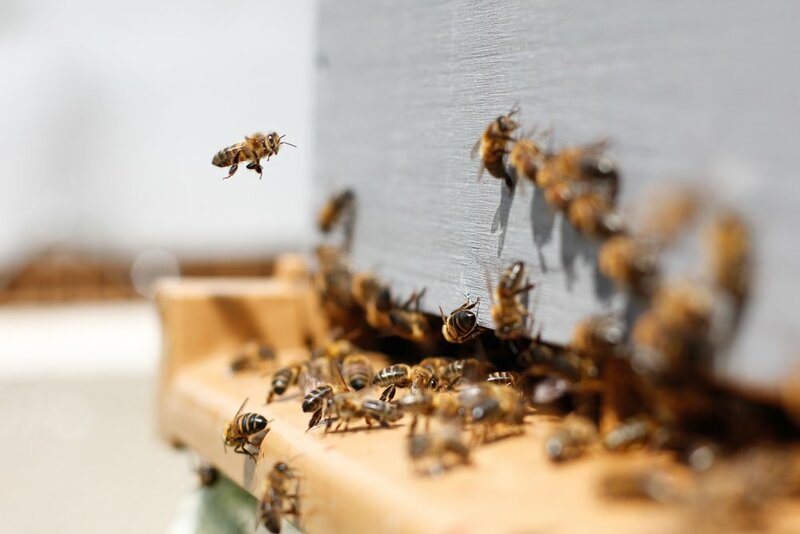 They agreed if there were any health issues they would consider other options, and developed a contingency back-up plan should they need to find a new home for the bees. Gaynell wrote an article for the school newsletter, “We are Bringing Honey Bees to Campus” which assured parents and students of their safety and provided access to resources. The honey bees came to school. Students were engaged at every step of the process. Students built the racks, and learned how to use the smoker. There was a lot of interest in the bees. How can I learn more? Do I have to take Kitchen Chemistry to work with the bees? Can we have a club? Success. None of this learning would have taken place, without a “yes, and” mindset. What is your first response when you encounter a wild and crazy idea? Where do you sit on the Yes o’Meter? If a “yes, and….” response doesn’t feel natural to you, don’t worry you aren’t alone. Design thinking is messy and nonlinear, which can make it challenging for educators to embrace the process. Being open to new ideas can feel counterintuitive in a world that is often driven by mandates, but it is a mindset that can be developed. You could take a cue from Gaynell, borrowing her response, “Tell me what I need to know to say yes,” or try these three ideas to help build your “Yes, and” mindset. Use Nurturing Language - New ideas are fragile and need to be treated as such. Unintentionally, we use language that kills ideas both with our teachers and our students. Phrases like “A good idea but…,” “They’d never let us do that,” or “We tried that already.” Try replacing those idea killing phrases with nurturing phrases like “That sounds interesting, tell me more,” “How can we make it work?” or “Let’s try it.” This isn’t to say that every idea you are presented will work out, but try to nurture ideas a little longer until they have had time to grow and are a little less fragile. It is far easier to kill an idea than to get an idea to a workable solution. Turn a “Yeah but,...” into a “Yes, and…” As you learn to be more open and less judgemental of ideas, challenge yourself to identify roadblocks or any “yeah, buts…” that will come up and see if you can remove them. If there was a crazy idea I wanted my students or staff to entertain, I would try to brainstorm all of the “yeah,buts..” that I knew had a possibility of showing up. Then I would see If I could think of a way to solve them before they derailed the development of a new idea. Let Go and Take Small Risks We’ve all heard the advice that we need to get out of our comfort zone, yet very few of us ever really do it. Why? It’s easier not too and we equate getting out of our comfort zone with doing something big or scary, when really very small actions are required. At least once a week try taking a new route home, eat at a different restaurant, have a conversation with someone you don’t normally spend time talking to, take a different fitness class or watch news from a different channel. Trying new things forces your brain to think that stimulates creativity and will rub off into other areas of your life. As a result, you might just start to see everything in a new light. Developing a “Yes, and…” mindset unlocks possibilities and allows ideas to flourish and grow. Over time, I’ve learned good ideas often hide in the crazy ones, never to be discovered when “yeah, buts…” run rampant. Newer PostWhy Do We Have So Many Rules in Education?